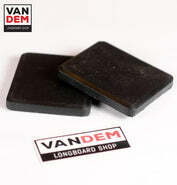 Vandem Longboard Shop is skater-owned and skater-run. This means a lot of things, but the most important is we know what we are talking about and we can help you make the right choices. Check out our longboard buyer's guides for more. We believe that longboarding needs love and support to stay strong. That's why we've been organising and supporting UK longboard events for longer than anyone! Check our UK events calendar and our local longboard crews list to get involved! We'll match any online price from a UK based retailer! Just fill out the form on any product page and let us know where you've found it cheaper. 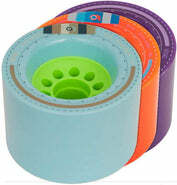 Product must be equivilent stock status. Free stuff when you order over £99.99! 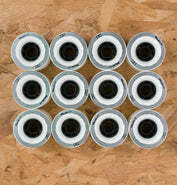 Choose from a Free Sabre Bushing Kit or a Free Vandem Organic Logo Tshirt. Click for more! 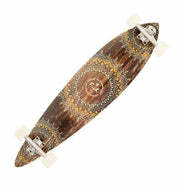 Shop with the experts - Vandem is the Bristol's specialist longboard shop. You can visit our store in Bristol, we're online 24/7 and on the phone 9.00-5.30 Monday to Friday on 0117 9332833. Check out our Longboard Buyer's Guide for help and advice! Our longboard shop, located in central Bristol less than 5 minutes skate from Bristol Temple Meads main station, is packed full of the latest longboard completes, decks, trucks, wheels and accessories, plus super-limited and exclusive clothing and other goodies. We have over a decade of experience with Online Longboard Retail, and our aim is to use that all that experience to provide the best customer service you will find on the internet. 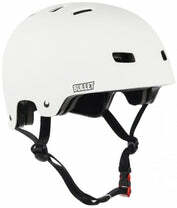 We pride ourselves on super-fast delivery, tight brand selection and unbeatable product knowledge. If you have any questions, please email us or give us a ring! We have been helping the UK longboaders for over a decade and a half. We have organised and helped with many key UK longboard events, driven skaters to races and freerides all over Europe, and done our best to get UK longboarding on the international map. We are proud to be part of a strong local longboard scene here in Bristol, and the shop is a hub for all kinds of local longboard related stuff. 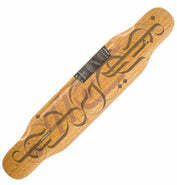 Check out our UK longboard blog, stop by the shop, come for a skate and get involved, we love it!! !